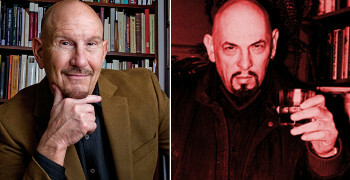 L. Michael White and … Anton LaVey | Amazing Lookalike! On the left is L. Michael White, Ronald Nelson Smith Chair in Classics and Religious Studies and Director of the Institute for the Study of Antiquity & Christian Origins, at The University of Texas at Austin. On the right is Anton LaVey, founder of the Church of Satan and author of The Satanic Bible.